New York is a beautiful city. Not the most beautiful—that award is reserved for the lovely Cleveland, Ohio—but in terms of general attractiveness, yes, New York is definitely above par. That's not just an aesthetic judgement either: As far as beauty in the ITG sense of the word, NYC is bursting with a million and one shops, salons, and spas, all ripe for your touristing pleasure. Even for those of us who live here, it's nearly impossible to visit them all. If only there was a guide to the best...! 3:00 PM: Welcome to New York! It's been waiting for you. Drop everything off at your hotel—or find an excuse to leave work early, if you're a staycationer—and beeline up to Tisane Pharmacy on the Upper East Side. New York has more French pharmacies than it has French restaurants, but Tisane is one of the best, boasting not only Citypharma mainstays (Vichy, La-Roche Posay, you get it) but other stateside favorites like Dr. Hauschka. Oh, and there's a cafe inside. Grab an Italian soda while you swatch night creams. It's encouraged! 5:00 PM: The "facial bar" has become the spa concept en vogue as of late, especially in NYC. And while most places have you sacrificing luxury experience for convenience, Silver Mirror on the Upper East Side maintains both. Co-founded by Cindy Kim of Peach and Lily, glowy skin is priced at around $75 to start—scaling to $130 for 50-minute treatments with a la carte enhancements like microdermabrasion or LED therapy. Each facial has an oxygenating treatment, too, which will give you severely amazing skin all weekend. 7:00 PM: Go to dinner! Take in a show! The Met is open until 9PM on Fridays if you want to see a pyramid. Enjoy the city that never sleeps—we'll meet you back here tomorrow. 10:00 AM: Good morning! How'd you sleep? Grab a coffee at the Highline Hotel's Intellegentsia truck and have a scone in the courtyard. We'll meet you at New London Pharmacy around the corner in an hour. 11:00 AM: Did you find it OK? 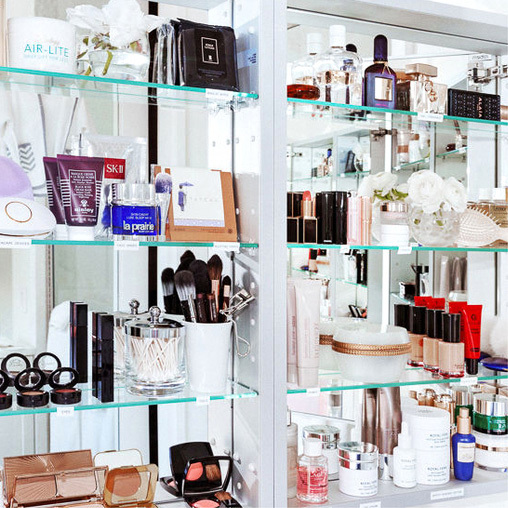 Welcome to New London, the second beauty store on this list, but arguably the most exhaustive. You would be hard pressed to name a brand that isn't represented on New London's shelves, but what's really amazing is the depth of each collection. Like, all of the Bioderma, not just the Crealine. New London is also notable for its body assortment, which spans from Nivea Body Creme and Mustela Massage Oil to Santa Maria Novella Bubble Bath and Creed Perfumed Soap. Just the essentials, really. 2:00 PM: For more good smells, hop the C or E down to West Fourth Street and pop into Aedes Perfumery, the opulent and grand fragrance shop that sells over 70 different brands of scent. Everything is atelier and samples are aplenty, if you ask nicely. Once you're done huffing Fornasetti candles, find the 1 train at Christopher Street and head downtown. 5:00 PM: All that beauty shopping makes a body tense—release that tension at J'Spa Tribeca. J'Spa is the preferred massage parlor of Glossier HQ for its unbelieveably effective (and inexpensive!) chair massages. The therapists at J'Spa will work. your. body. for pennies on the dollar. Plus everybody who works there is incredibly nice, which makes the whole thing even more serene. 6:30 PM: Treat yourself to a Flower Petal Float at Jin Soon Tribeca, along with a pedicure, because you've been walking all day and you deserve it. Choose a lacquer from Jin's collection—which includes her private label as well as Chanel, Marc Jacobs, and more—and space out. 8:00 PM: Not explicitly beauty-related, but Terra down the street has a fantastic wine and pasta list—not to mention a charming ambience. For that Beyoncé glow, no? 11:00 AM: First stop on Sunday is Brooklyn, straight to Carroll Gardens' Shen. For people who love natural beauty products, Shen is basically Shangri-La. It's organic products as far as the eye can see, stocking RMS, Ilia, Amanda Lacey, Nuori, and many more. A full service menu includes facials, body waxing, brow care, reiki (!) and much more. 1:00 PM: Back over the Brooklyn Bridge and straight into the Wall Street Bath and Spa at 88 Fulton Street. Go for a platza (in which you get lightly beaten with an oak leaf broom) or a eucalyptus steam. Alternatively, you could sit in a pool for two hours. Afterwards, head up to the restaurant for Russian cuisine and a beer. It wouldn't be early Sunday afternoon in New York without alcohol! 3:00 PM: Take your slight buzz up into Chinatown—this, ladies and gentlemen, is the climax of your trip. Oo35mm on Mott Street is an unassuming beauty shop just off Canal Street, but inside, it's a haven for cult products—Bioderma and Avène are sold alongside CosRx Blackhead Power Liquid, Bioré Watery Essence Sunscreen, and plenty other Korean and Japanese favorites. Bonus points for offbeat accessories, toys, and miscellaneous things like self-heating sleeping masks and nighttime shapewear. Oh, and sheet masks. Hordes and hordes and hordes of sheet masks. 5:00 PM: Your last stop on this tour is Stanley's Pharmacy, nestled within the Lower East Side and a short walk from Oo35mm. Operated by Stanley George, erstwhile pharmacist to the stars (literally! 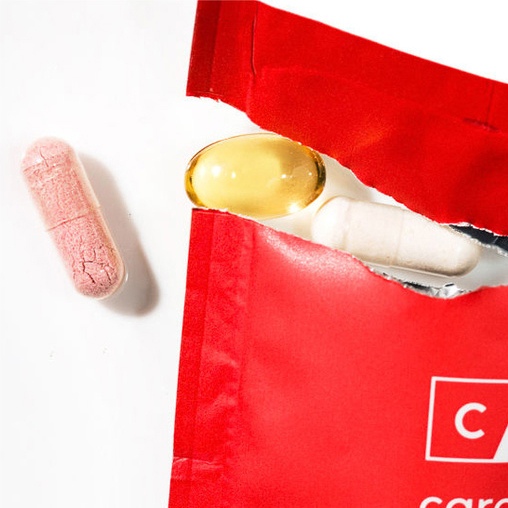 ), it's a throwback soda foundation that dispenses herbal remedies for what ails you—and, you know, actual pills, because it's a functioning pharmacy. But between the smoothies and supplements, Stanley also offers skin boosts like ingestible collagen and hyaluronic acid. Tom loves it, and now so do you.